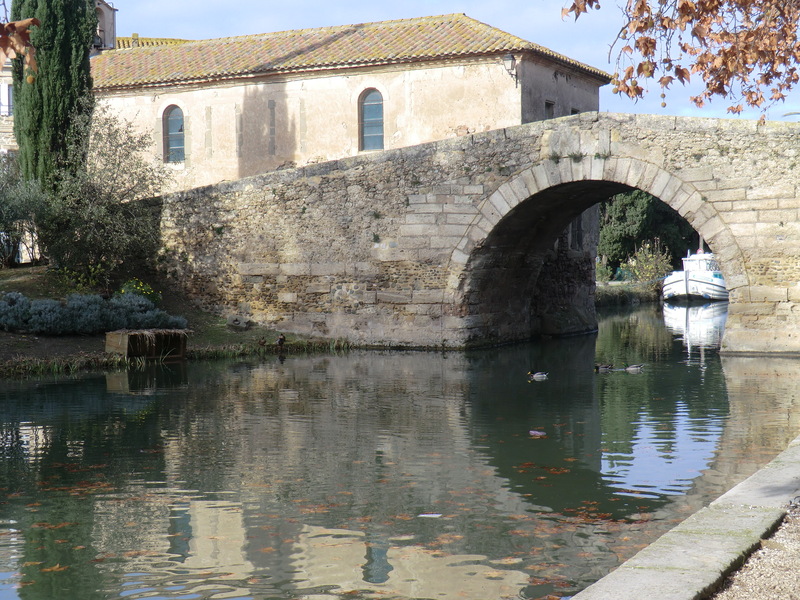 This entry was posted in Canal du Midi, France, Retirement, Travel and tagged Le Somail. Bookmark the permalink. They are both beautiful, too! what a wonderful momento-beautiful. How long will you be in the states this time? So serene, definitely worth looking at when you wake up in the a.m., grab a cup of coffee and just chill. Hello and bonjour! Just found your site through megtraveling and the award she presented. France is quite special to me, so I’ve enjoyed the posts I’ve scrolled through enough to subscribe to your blog. Looking forward to more gorgeous pictures. I took that same picture from virtually the same spot in October last year! I hope not. I was enjoying your photos and commentary. There aren’t that many of us retirees that are blogging about things other than financial topics. 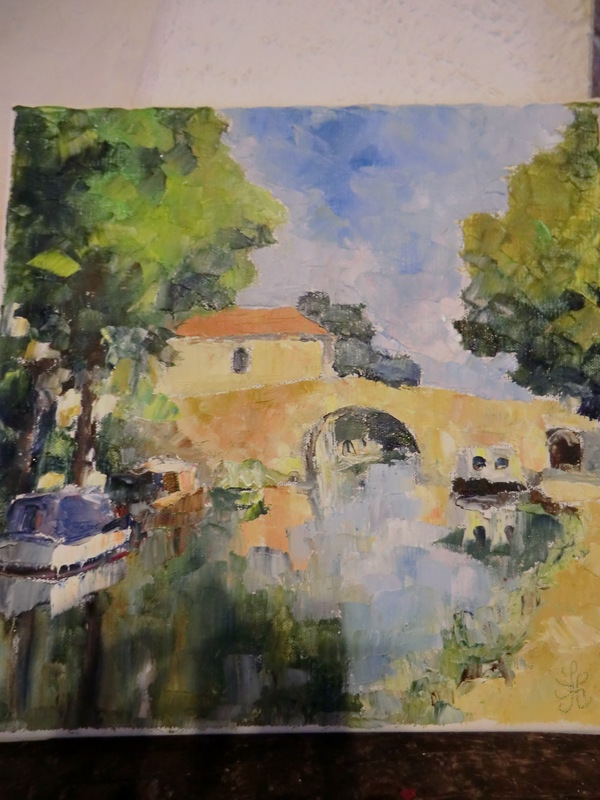 What a beautiful painting of a beautiful bridge! Thank you for checking out my blog and commenting! It seems that you are truly enjoying life! How wonderful! A few months later, are you missing Paradise? Thanks for you comments on the blog.